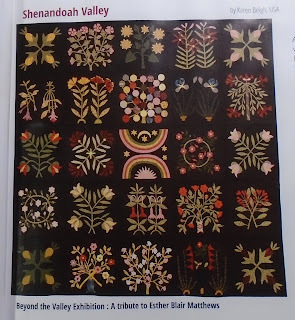 My "Shenandoah Botanical" quilt was recently hanging at the Houston quilt show. It was part of a display of several quilts made from the same pattern though each was different in fabric selection and settings. I had no idea that my quilt and Wendy's (The Constant Quilter) would be in the current issue of "Quiltmania" magazine. The photography for the magazine is always very good. Here is the page. And close up view of our quilts isolated from that magazine page.. I saw a photo that someone else shared from this magazine of the two quilts - y'all must be so proud! I know I would be ecstatic! what a wonderful mention....congrats to you and wendy! Congratulations on being featured in Quiltmania! Those are two glorious renditions of a fabulous pattern. Yay! Congratulations, this is so exciting. What a thrill to see your beautiful quilt in Quiltmania--congrats! The only thing better would have been able to be there in person! That is so sweet! Is your quilt back home? Karen son tan bonitos!! y un trabajo tan bien realizado. 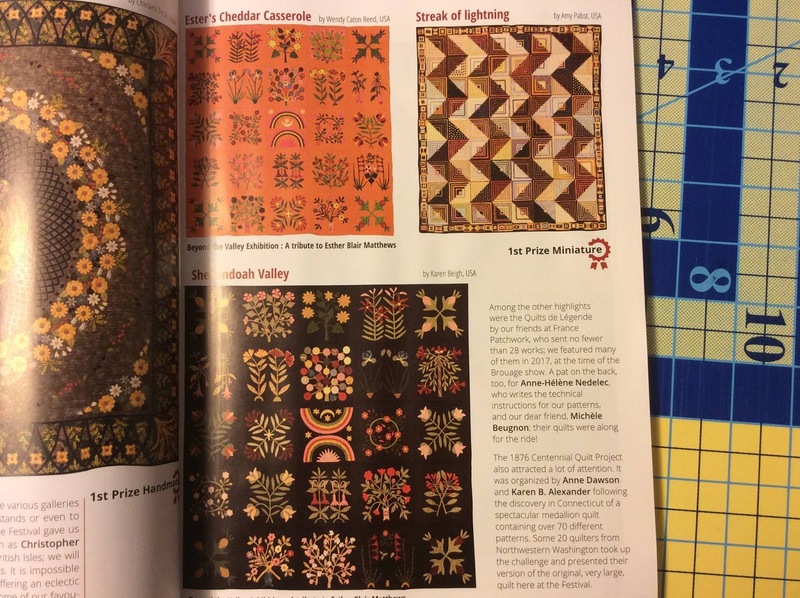 What a thrill that must be to be featured in Quiltmania! Both versions are just gorgeous. I was an early Botanical drop out but have enjoyed seeing the finished beauties. I think the two of you are very deserving of this honor. Your quilts are gorgeous, and you each do such excellent work. Proud to know you both!! Congratulations! Did they include your name in the magazine? How exciting and your quilt is so beautiful! Congratulations, that is a wonderful surprise! Oh wow---good for you--a good memory --you need to frame that page!! What a honor. I did see your quilt in the magazine. I should have mentioned it before. You do such wonderful work. Congratulations! I loved that exhibit! Your quilt looked stunning. They all were! It made me want to start applique again. 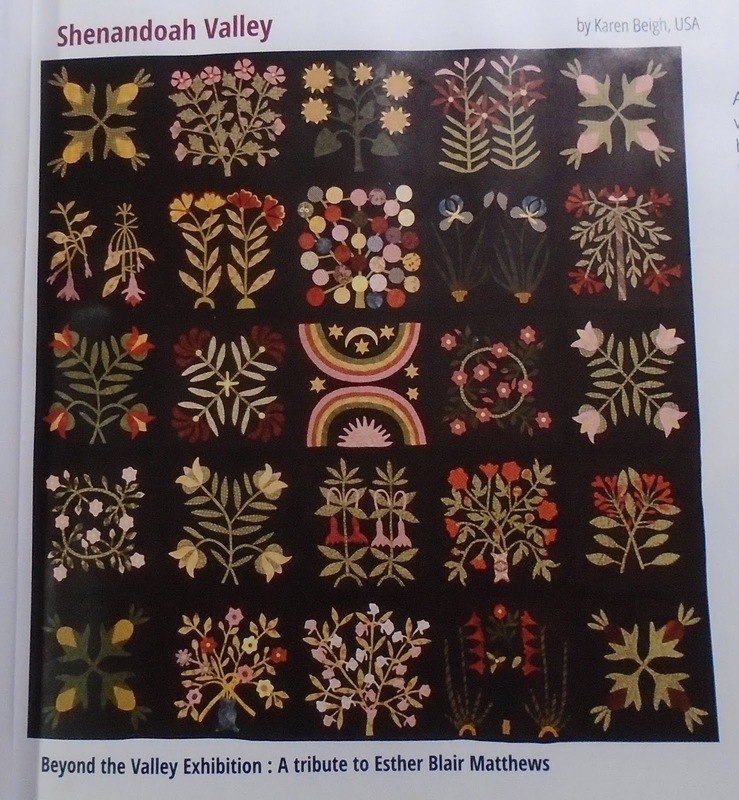 How exciting to have your quilt included in the magazine as part of the display. Were you contacted to give permissions? Congratulations. That is such an honor and a testament to the beautiful work you put into the quilt, congratulations! Congrats!! You certainly deserve to be recognized for your incredible work!!! I saw them, beautiful! It was one of my fav exhibitions when I was there. Congratulations Karen. 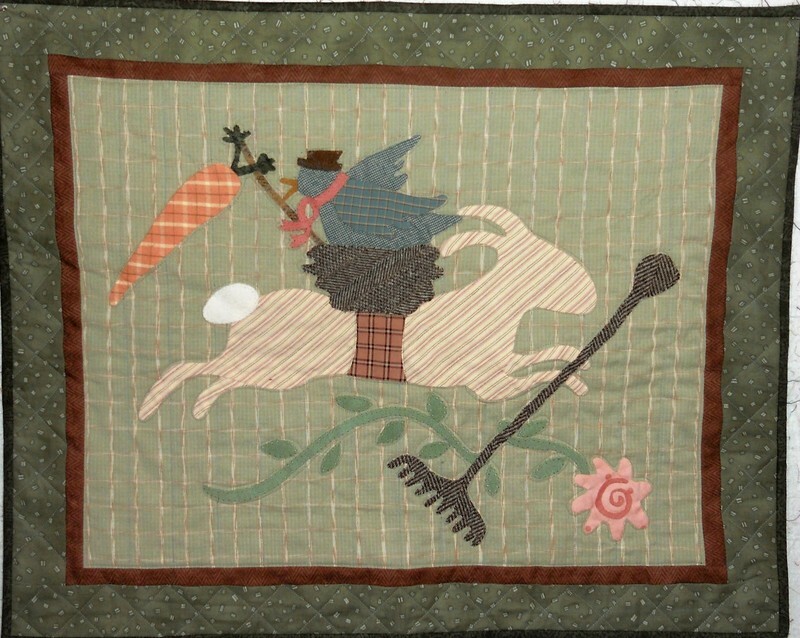 Did you enter the quilts as an Exhibit? I will check out my latest Quiltmania. As I've said to everyone - I'm in good company! I did e-mail the magazine to thank them but I didn't hear back. You’re quilt famous! Congratulations! Appliqué on a dark background is so striking. I know I don’t possess the skill or eyesight to pull it off. 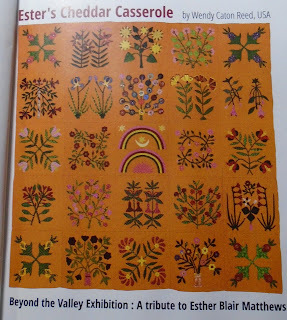 SO exciting to have your quilt hanging there ... and double exciting to be published in a magazine! Congratulations on the fabulous quilt and the resulting fame! 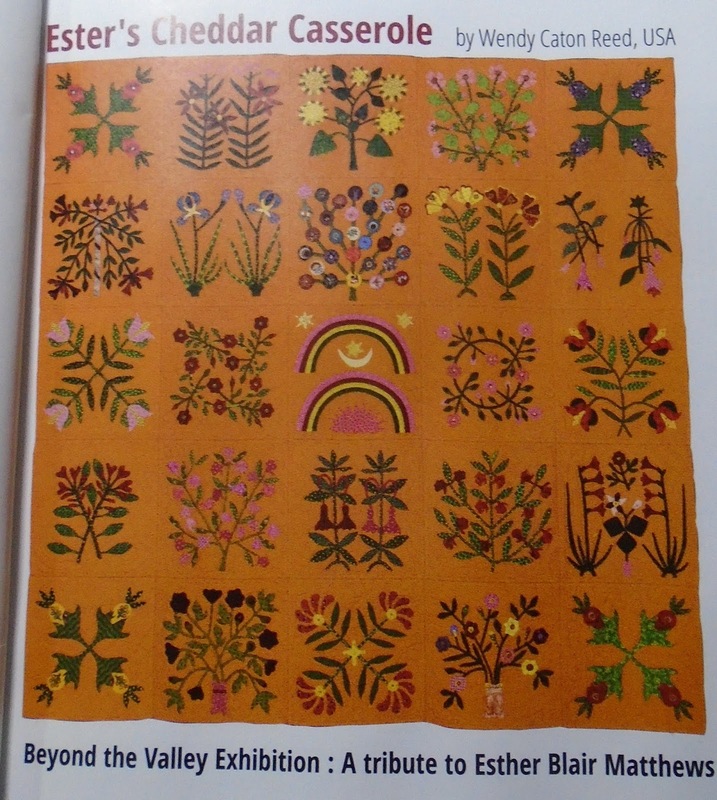 I was surprised to see the two quilts in the magazine. I love them both! Bold choices with beautiful results. Congratilations!